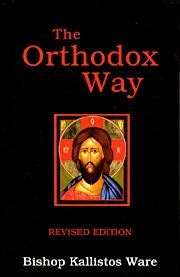 This book is about the way that Orthodoxy thinks and feels, and it is not just of Earth and Earthly. The very different understanding, that contact with this fulness of Life in Orthodoxy makes so manifest, can be tangibly felt in this book. A classic account of the belief, worship and life of the Orthodox Church which raises the basic issues of theology: God as hidden yet revealed, the problem of evil, the nature of salvation, the meaning of faith, prayer, death and what lies beyond. This is a book which reveals the meaning of life for all Christians. Softbound. 164 pp.